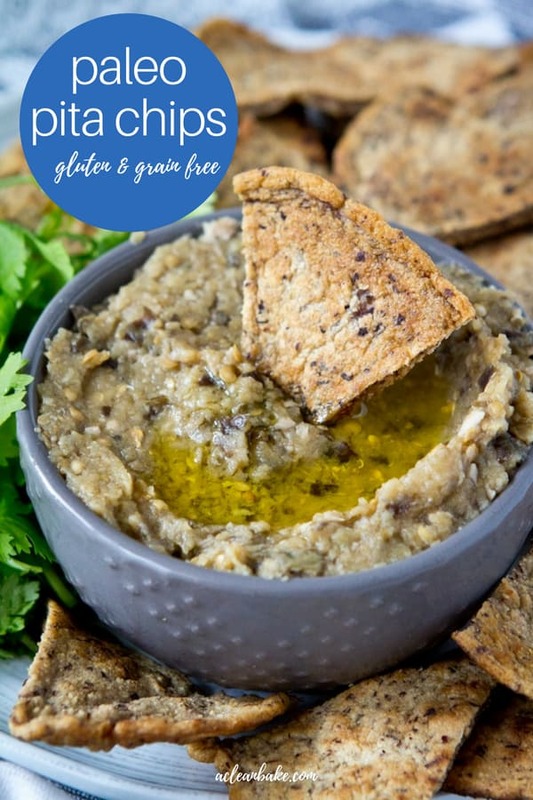 Missing pita chips on a grain free diet? 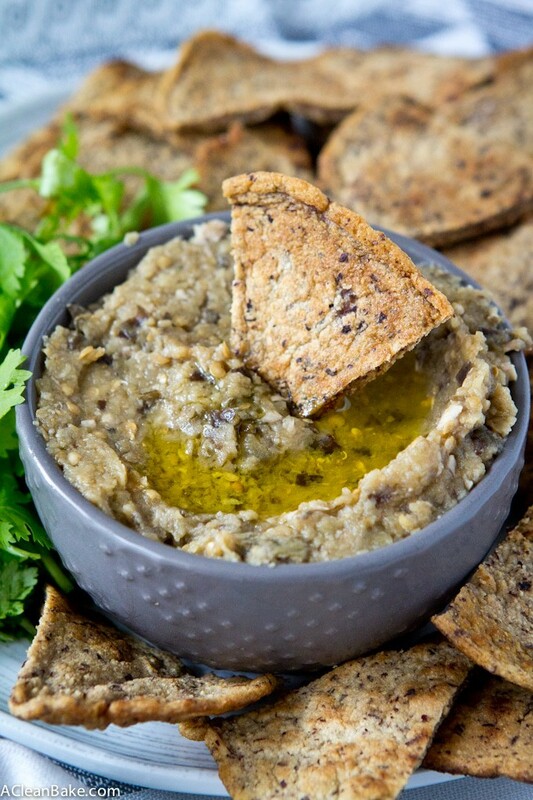 These grain free pita chips are quick and easy to make with homemade grain free flatbreads. I took a week off from meal planning last week and it was wonderful. But it meant a lot of grazing and impromptu meals, many of which revolved around these grain free pita chips. Luckily, they’re versatile enough to do the job: dippable, dunkable, meltable, the works. 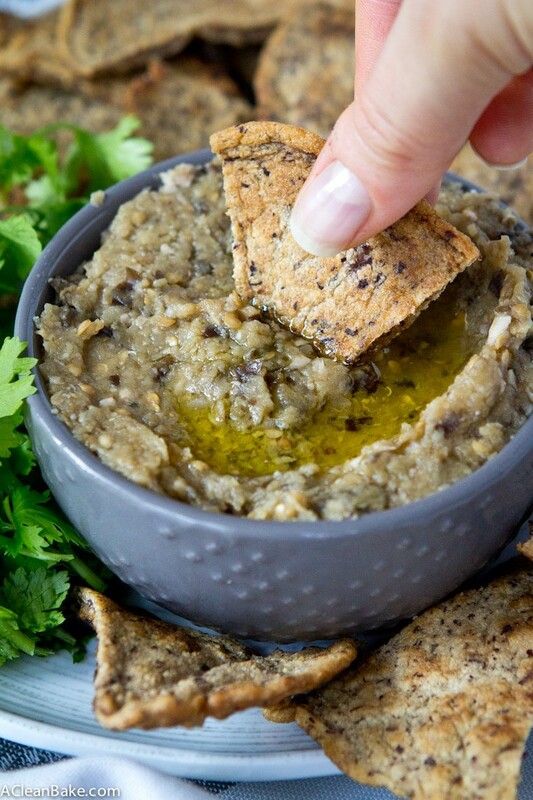 So far, my favorite way to eat them is with babaganoush, but you can also throw some hummus or another dip on them; dunk them in thick soups and stews, or even melt some cheese on them. Or, actually, there are probably five thousand other ways to use them, but I can’t make them fast enough to keep up with their variety of uses. *Actually, I still have no idea what that entails, so please feel free to laugh at me if that’s a ridiculous statement. I deserve it. All these require is a quick slice to turn the flatbreads into wedges, a brush or spray of oil (and a sprinkle of salt, if you want), and a long, low-temp bake in the oven. Sound easy? It is. The hardest part is deciding what to do with them. So, I want to hear from you: if you made these or plan to make them, what did (or will) you use them for? Preheat the oven to 250F. Cover a baking sheet with a nonstick pad or sheet of parchment, and set aside. Cut the flatbreads in half, then cut eat half into thirds to form three triangles or slices per side. 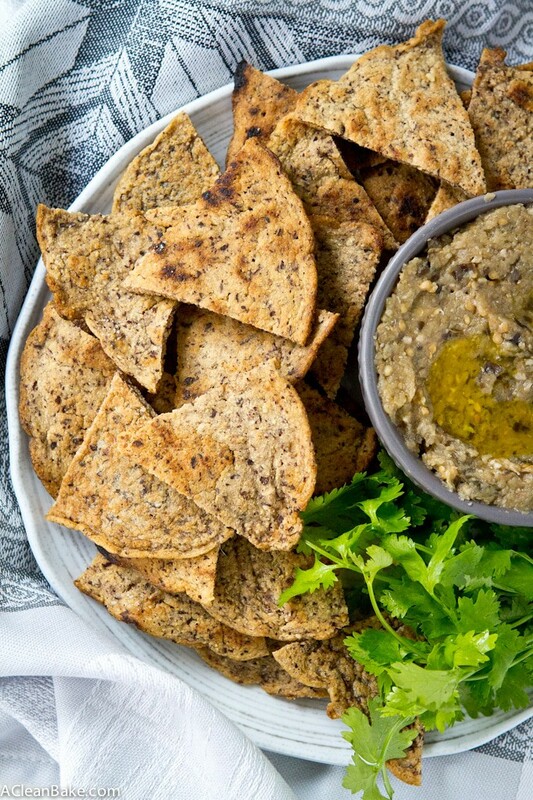 You should have 18 total chips from one batch of flatbreads. Lay the slices out in one even layer on the prepared baking sheet, leaving about 1/2" - 1" of space between each slice. Brush or spray each chip with oil, then flip and brush or spray the other side. Sprinkle the chips with salt to taste. Bake for 60-75 minutes (see note) until crisp, flipping the chips after about 45 minutes. Remove from the oven and allow to cool on the baking sheet (they will crisp up more as they cool) before serving. You can feel free to adjust or alter the seasonings if you'd like. For example, add pepper, chili powder, or garlic powder to make the chips a little more flavorful. If you want your chips to be a little softer, bake them for 60 minutes. 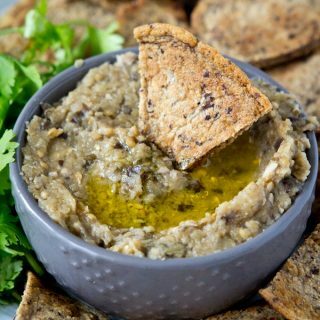 If you're planning to use them for dipping and want them a little sturdier, you'll need to bake them for an extra 10-15 minutes. Store leftovers in an airtight container at room temperature for up to 2 days, or in the fridge for up to a week. If they have lost some of their crispness when you go to use them again, simple bake for another 5-10 minutes in a preheated 350 degree oven until they reach the consistency you like. Yield: 18 chips, but multiple as necessary.